The terror regime in the Gaza Strip shot some 500 mortars and rockets into Israeli territory in less than 24 hours, and destroyed an Israeli bus with a Kornet anti-tank missile. For five days following Liberman’s resignation, Prime Minister Benjamin Netanyahu’s governing coalition appeared to be on the brink of collapse. Israel is a multi-party parliamentary democracy. No one party has ever won an outright majority of seats in Israel’s 120-seat parliament, the Knesset. And so, since the first Knesset was elected in 1949, all of Israel’s governments have been coalition governments comprised of one or two major parties and several minor sectoral parties. Liberman is the head of a small party called Israel Beitenu. When he resigned, he pulled his party out of Netanyahu’s governing coalition and brought its governing majority down from a healthy 67 seats to the bare minimum of 61 seats. In the ensuing days, various coalition partners, jockeying to improve their positions vis-à-vis one another and vis-à-vis Netanhyahu’s Likud party (the largest party by far in his governing coalition), threatened to bolt the government and so precipitate its downfall. By Tuesday afternoon Netanyahu had fended off their efforts while taking over the Defense Ministry from Liberman. Before Netanyahu quelled the unrest, it appeared that the Knesset elections, scheduled to take place next November would be pushed up to March 2019. But now, with his coalition partners’ challenges fended off, there is a fairly good chance that Netanyahu’s government will live out its days until next November, or, at a minimum, until the end of May. The most interesting aspect of the political drama that gripped Israel for the better part of the week isn’t what was discussed in the news. The most interesting aspect of Netanyahu’s political storm is who wasn’t involved in it and indeed, who had nothing to say about it. Left and center-left parties had nothing to contribute to the drama. No one looked to their leaders as possible successors to Netanyahu. All of the media commentaries and day-to-day instant polls showed that if the government were to have fallen and new elections held, at the end of a prolonged campaign, Israeli voters would return election results very similar to the results of the last election in 2015. 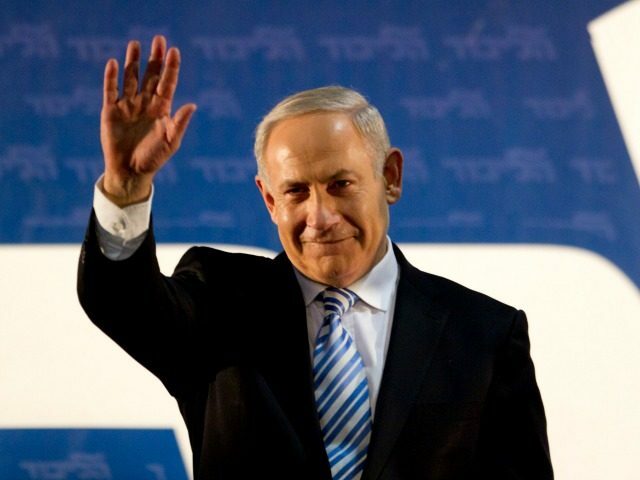 The polls are unanimous in their assessment that Netanyahu will maintain his position as prime minister. His Likud party will win the largest number of seats in the Knesset by far. His current coalition partners will return to the next Knesset with more or less the same number of seats they have in the current Knesset. And for their parts, the left and center-left parties will remain in the opposition as minority factions. They have no chance of cobbling together a governing majority and forming a left-center-left government. For months the media have been touting former Israel Defense Forces (IDF) chief of general staff Benny Gantz as a possible leftist spoiler in the next election. Although Gantz has made no significant policy statements since retiring four years ago, polls have a hypothetical party under his leadership receiving 15 seats, some of them from Likud. Gantz’s hypothetical party, however, is likely to only go down like a popped balloon if it every becomes a real entity. In 1999, the media insisted that recently retired IDF chief of general staff Amnon Shahak would beat Netanyahu in that year’s elections. In the end, the party he formed won a mere five seats in the Knesset and disbanded shortly after the elections, with members splitting between the Likud and Labor parties. In 2014, the media insisted that recently retired IDF chief of staff Gabi Ashkenazi would form a party that would beat Likud in the 2015 elections. In the event, Ashkenazi was wrecked by scandal and never ran for office. Shortly after the poll showing Gantz would win 15 seats in the next election, Miri Regev, Israel’s Minister of Culture and Sports, noted that as chief of general staff, Ganz declared Israel’s 2014 war with Hamas over and told Israelis to go hiking in the war torn south of the country. Shortly thereafter, four-year-old Daniel Tregerman was killed by a mortar in his home. If Gantz throws his hat in the ring, and makes any substantive statements, the 15 seats he polls as a hypothetical candidate will likely shrink significantly. How has it happened that Israel’s left and center-left parties have become bit players, if that, in Israeli politics? Why is it that commentators from both sides of the political spectrum dismiss the prospect of Netanyahu being unseated by a leftist challenger? There are, in essence, three reasons that Israeli voters do not view political parties along the left-center-left spectrum as serious contenders to lead their government. The first reason is that for the past generation, Israel’s left has pursued national security and diplomatic policies that have unquestionably and vividly failed. The left’s embrace of the Palestine Liberation Organization (PLO) as Israel’s partner was based on a gamble that by giving the PLO land, money, arms and legitimacy, Israel would moderate the terror group. The gamble failed. Some 1,600 Israelis – mainly civilians — were murdered in the Palestinian terror onslaught that began as the PLO was setting up its government in Gaza and parts of Judea and Samaria in 1994. The left’s big decision to withdraw unilaterally from Israel’s security zone in southern Lebanon in May 2000 enabled Iran’s Lebanese proxy army Hezbollah to take over southern Lebanon. It also set the conditions for the 2006 war between Israel and Hezbollah. The left’s big decision to withdraw unilaterally from the Gaza Strip in August 2005 transformed Gaza, which had never been more than a tactical nuisance, into a strategic threat. Hamas seized control over Gaza from the PLO in 2007. And it is now poised to take over the PLO itself, while working hand-in-glove with various terror organizations — as well as with Iran, Turkey, and Qatar— to undermine Israel. Hamas and its partners are also helping terror forces in Egypt’s Sinai peninsula with the goal of overthrowing the regime of Egyptian President Abdel el Fattah a-Sisi. More than 6 million Israelis now live in range of Hamas’s missiles, mortars and rockets. Since Israel’s withdrawal from Gaza, it has fought three separate and significant counterterror operations against Hamas and its partner terror groups in Gaza. Israelis were willing to trust the left with governing the country after the peace process failed. The last election the left won, in 2006, preceded the war with Hezbollah, which made clear that the 2000 withdrawal from the security zone was a mistake. It also preceded Hamas’s takeover of Gaza, which demonstrated the folly of the left’s push for unilateral withdrawals from contested territories. The widespread public awareness of the devastating consequences of the left’s national security policies is not the only reason that the left has made itself into a political irrelevancy in Israel. During its years in the political desert, the left has become increasingly radicalized both organizationally and ideologically. This radicalization has worked to its disadvantage in two ways. From and organizational standpoint, for the better part of the last decade, Israeli left and center-left parties have devoted time and energy demonizing large sectors of Israeli society and insisting that they won’t work with parties that represent those sectors. Leftist parties have rejected cooperation with religious parties, social conservative parties, and free market parties, as well as center-right parties. In 2009, the center-left Kadima party won 29 seats in Knesset elections, which made it the largest faction in the parliament. But Kadima leader and former foreign minister Tzipi Livni was unable to cobble together a coalition because most of the minor parties refused to join a coalition government under her leadership. Netanyahu and his Likud party had won 28 seats in the 2009 elections, but unlike Livni, Netanyahu was able to form a fairly stable governing coalition. The left’s ideological radicalization became undeniable over the past summer. In July, the Knesset passed a new law called the Jewish Nation State Law. The law did nothing more than give quasi-constitutional weight to Israel’s national identity as the nation state of the Jewish people, and to its national symbols, including its national anthem and flag. It declared that Israel’s national language – Hebrew – is Israel’s national language. And so on and so forth. Rather than shrug their shoulders and vote in favor of this uncontroversial piece of legislation, Israel’s political left had a collective apoplectic fit. They insisted that Israel’s national ethos and symbols were exclusionary and therefore passing the law was a racist act. Their position was shocking because consistent survey data of the Israeli people have demonstrated that the public is nationalist, proud, and unapologetic. A mere eight percent of Israeli Jews identify as leftists. And yet, far-left and center-left parties spent several months competing to see who could condemn the law most vociferously and hysterically. In so doing, they effectively wrote the Likud’s political campaign in the next elections. It isn’t clear that Netanyahu’s government will live out its days or whether Israel will go to early elections. Some commentators claim that the next elections will take place in late May, after Israel’s Independence Day. But what the political dramas of the past several days made clear is that whenever Israel holds its next elections, their results will be unlikely to deliver a new government that is significantly different from the current one.